Our most popular design is back. 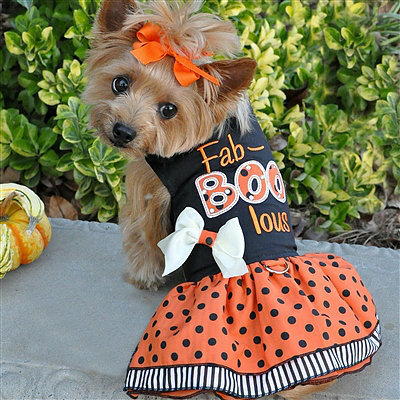 Adorned with Fab-BOO-lous embroidered on the body, a very cute bow and adorable orange and black polka dot skirt and striped skirt edge. This dress also includes a sewn in d-ring and matching leash for easy walking.